It was only a matter of time. A company that takes itself so seriously is just asking for parody and online ridicule. Apple was going to get it sooner or later. The over-hyped launch of the iPad has generated more and more humor. 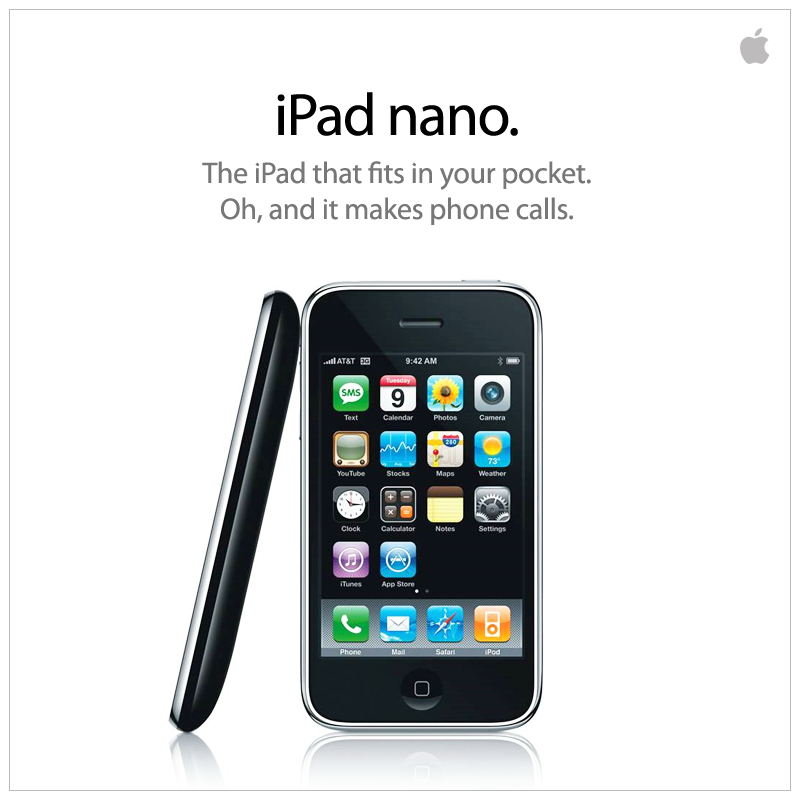 For example, consider this amusing parody of the iPad and iPhone. This fake ad is clever. Somebody went to a lot of work. Notice the clean finish. They even got the fonts right. But my favorite is a recent YouTube video by the Onion. It is about an Apple product called “The Wheel”, a new product Apple has just launched. Watch the entire video just to get to the best line — near the end. While listing all its wonderful traits, the announcer says breathlessly, “Virtually unbreakable unless dropped or hit.” Well, there you have it! Bless them. If you have not had enough, then try this video from the folks at College Humor. It is not as good as the video from the Onion (but nothing ever is). Still, it has its moments — for example, when Steve Job (imitator) in the video takes credit for inventing the printing press. Still, not too many laughs in your five minutes, so if you are pressed for time, skip it. The same outfit also did a parody of an iPhone commercial that was shorter and more pointed. Many more laughs per minute. I liked it a bit more. Seen any other Apple humor? Make some suggestions.